I am the original flower mama (according to my kiddos) and proud owner of SSD. I’ve been a part of the floral industry for over thirty years. Growing up I never would have imagined it was possible to have a job that required so much work (seriously so much) but be SO REWARDING! 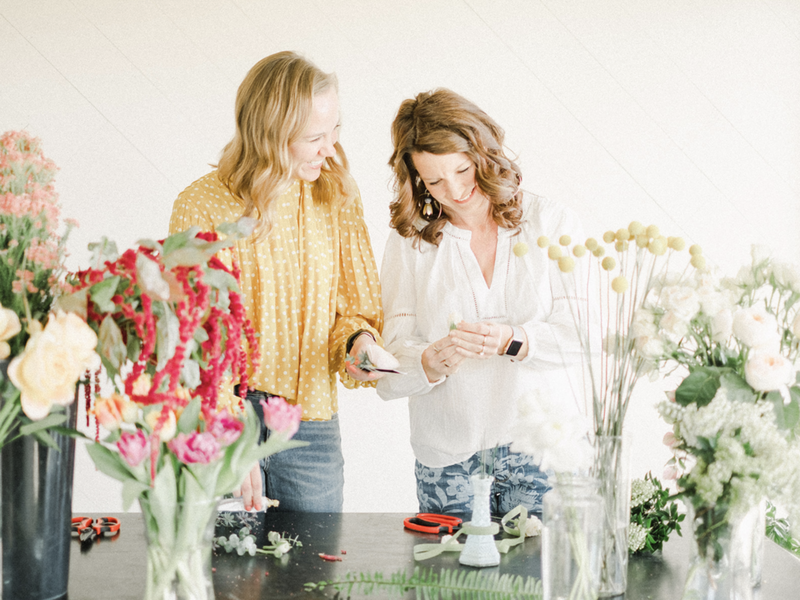 I pride myself on floral design and love working with fun and funky blooms, textures, and color palettes. When I am not at the studio you will find me: working, working & still working on what I love most, being a full-fledged foodie, buying plants at the green house, & spending time with my family! I’ve never met a flower I didn’t love! I am a former Rodeo Queen! Hello! I am Jonquil, most people call me Joni, the corsage & boutonniere virtuoso as well as Shelly’s sister. When my hands are not covered in floral glue, I love camping with my family of 6, listening to podcasts, and doing yoga! Definitely agreeing to work for my sister! Hi! I'm Lindsey and I serve brides and businesses as a wedding and events coordinator. I offer a professional and creative approach to coordination that takes the stress out of planning gatherings for each of my clients. Expanding on my event design and styling experience, I have created a coordination business alongside Shelly. I work with brides to accommodate day-of, partial service and full service planning. I love creating relationships with brides to develop the design and vision for their big day! I have exceptional attention to detail and provide top notch coordination services to each and every bride. When not organizing events and making to-do lists for my to-do lists, I love being outside doing all the things! Enjoying the sunshine, running, and playing with my sweet pup Bodie make the top of my list. Connecting with friends over coffee and board games holds a close second.